Its a mixed bag on Superbowl Day. First, it is the culmination of a season’s worth of hard hitting athletics. Second, football fans have to deal with the resulting 7 month absence of their favorite sport. So, make these recipes for your crowd and you will feed their frenzy and soothe their sadness all at the same time! 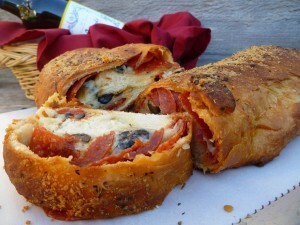 Easy-cheesy Pepperoni Bread with black olives starts with frozen bread dough for a quick weeknight meal or a savory game day snack. 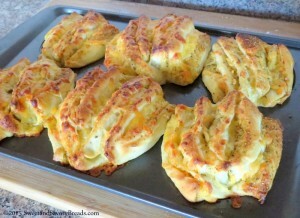 Cheese garlic pull apart muffins are made with a buttery garlic spread and melty cheddar cheese inside. 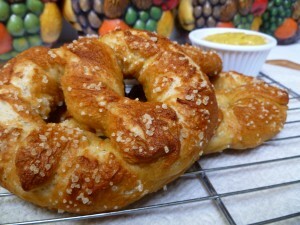 Make these soft, homemade pretzels at home in less than an hour with instant yeast! 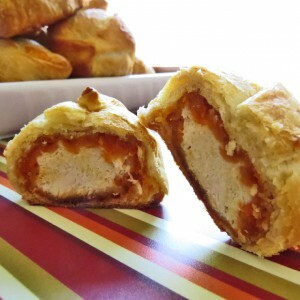 Soft, flaky crescent dough stuffed with spicy chicken tenders, which have been basted with buffalo chicken wing sauce. Perfect for Game Day! 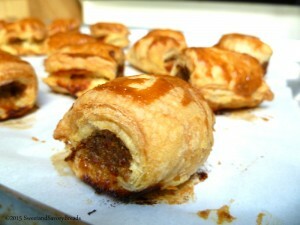 These hearty sausage rolls are made healthier with ground turkey and are perfect appetizers for your next party. Garlic parmesan exterior is flavorful and slightly crunchy. 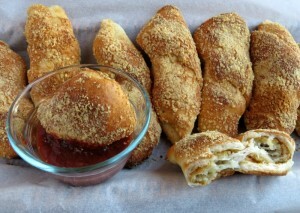 The soft inner bread is followed by the the gorgeous melty mozarella: Cheesestick Breadsticks! Quick and easy sweet and sour chicken dumplings use only 4 ingredients, perfect for a game day appetizer or toddler approved lunch or dinner! 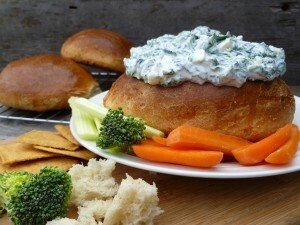 You’ll love these crusty, homemade bread bowls for serving your favorite hearty soups or party dips at your Big Game Party or anytime! 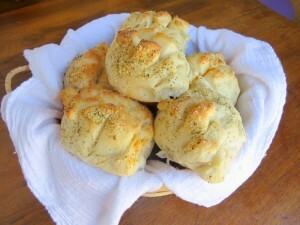 These pretzel bread rolls are created easily with the breadmaker. 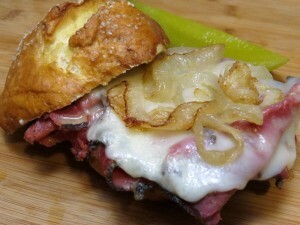 They are the perfect roll to create sliders, as we did with hot pastrami and provolone. Doubled up dinner rolls stuffed with marinara meatballs is what create these meatball butterflake poppers. Sprinkled with parmesan and Italian seasoning. 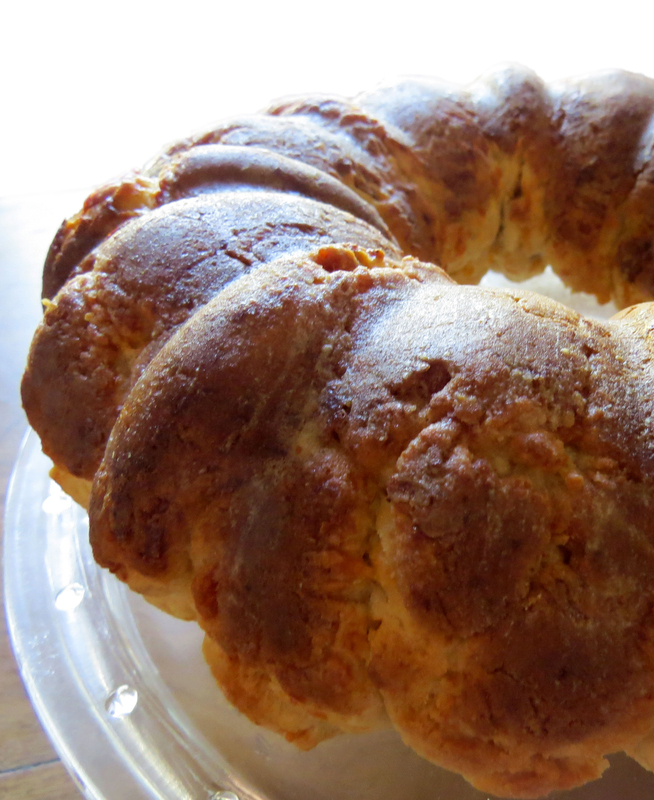 Cheesy bacon biscuit balls, rolled and baked in a bundt pan. 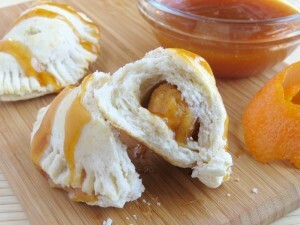 Perfect pull-apart bite-sized finger food to eat while watching the big game!